Have you noticed the new lighting of the marquee at the historic Dietrich Theater? When the Dietrich Theater opened in the last century in 1937 its marquee was appropriately lit with the lighting of the time, neon lighting, to blend with its art deco architecture. Today it is newly lit for the 21st century with LED lighting, thanks to generous grants from the Endless Mountains Heritage Region (EMHR) and the Tunkhannock Rotary, the encouragement of Frank Oliver, friend of the Dietrich, and the technical expertise of Craig Mark of Kelmark, LLC and Bill Corcoran of B & B Signs. Many times over the years the Dietrich Theater marquee has been dark or partially lit due to the sensitivity of neon lighting. Costly repairs were frequent. And then the transition to LED lighting became an option. There are many reasons for the transition from neon to LED lighting. First of all, LED lighting was not available in 1937 and actually not readily available until the last several years. Bringing it to the Dietrich Theater enables the historic marquee to shine brightly throughout cold and stormy weather, which was a challenge for the old neon lighting. LED is much more durable and long lasting, and much less expensive. Some may miss the romance and nostalgia of the neon lighting, but the difference is very subtle, and for most not noticeable. Very comforting is that LED lighting is much more ecological, as it is 90% more efficient than neon or incandescent lighting. Finally, LED lighting is brighter and requires very little maintenance. One of the missions of EMHR is to help preserve the historic integrity of the region. It is understood that the beautiful art deco Dietrich Theater is part of the Endless Mountains historic landscape and that the marquee not only helps notify the public about movies and cultural events happening at the Dietrich, but it also maintains the unique and historic rural character of our region. 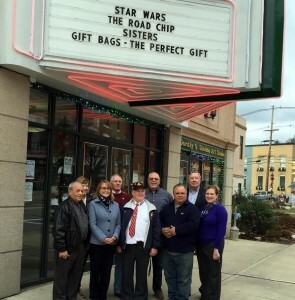 According to EMHR executive director Annette Schultz, who was at the theater on Dec. 18 for the dedication of the refurbished marquee, “Not only is the Dietrich Theater a historic landmark, but it is also a venue for programs featuring local history, traditional crafts and our Endless Mountains natural areas, thanks to the Wyoming County Cultural Center’s programming. We are proud to support the Center’s heritage stewardship with EMHR funding from the Department of Conservation and Natural Resources.” Along with the lighting improvement, additional improvements including cleaning and repainting of the façade have been accomplished by Dietrich Theater maintenance manager and marquee project manager Jim Hudock, and Dietrich volunteer Jim Rosengrant, who are always ready to get the job done. 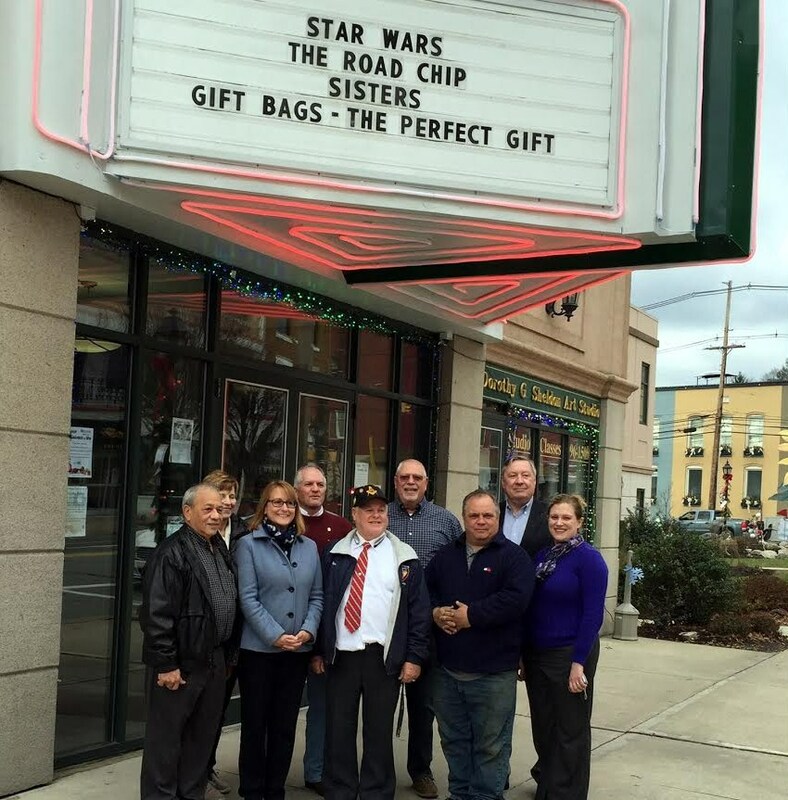 The Tunkhannock Rotary Club, always supportive of civic improvements, was quick to help sponsor the Dietrich Theater marquee renovation. Now Rotarians can point with pride to another major contribution they have made to keep the integrity of the historic Tunkhannock landscape. The marquee restoration comes just in time to herald the holiday season. The Dietrich Theater is now proudly lit to welcome all to its many festivities.